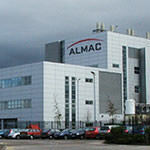 Almac Pharmaceutical, appointed F3 Engineering to design, manufacture and install a platform to provide support to their new blending machine at their headquarters in Craigavon. 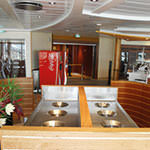 F3 tendered for the design and manufacture of stainless steel waiter stations aboard the Royal Caribbean Cruise Liner, the Oasis of the Seas. 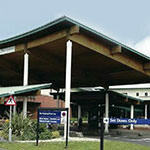 F3 Engineering were appointed by the Northern Health & Social Care Trust (NHSCT) to design, manufacture, install and commission radiator covers at several wards throughout the Causeway Hospital, based in Coleraine. 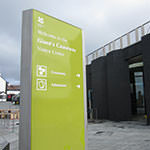 F3 were awarded the contract to design, manufacture and install bespoke stainless steel counters at the Giant’s Causeway Visitors Centre, a tourist attraction with a footfall of several thousand each year.